As a city, Mumbai has no equals. It ranks right up there with the major hubs of the world when it comes to finance, trade, entertainment, innovation and business. In terms of real estate too, it can’t be beat, it is quite simply one of the most expensive cities, trumping heavyweights like Singapore, Dubai, Melbourne, Dallas and Sydney when it comes to residential real estate. That being said, let’s take a look at a few of Mumbai’s emerging residential hubs. 1. Matunga: The sleepy suburb of Matunga is deceptively serene, considering how close it is to the epicenter of commerce in Mumbai. 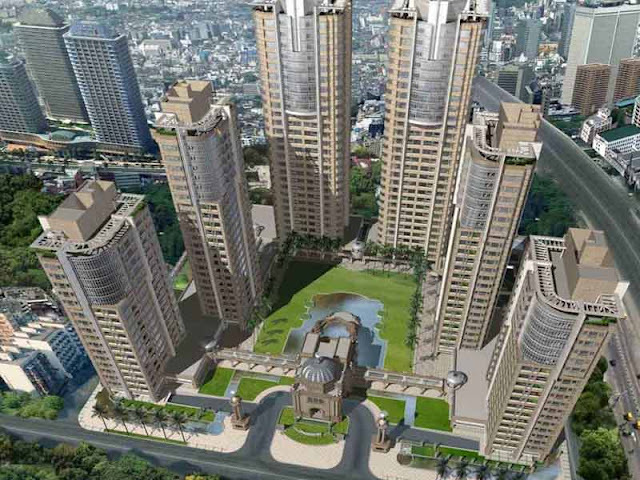 Almost equidistant from the Mumbai’s SoHo (Bandra) and the old city centre of town (Churchgate and surrounding areas), this emerging residential hub offers both driveable access to entertainment, culture and education, as well as a slice of peace and tranquility. Rates in this area happen to be in the range of 30 to 40k per square foot and considering there are several new and redevelopment projects in the offing, this trend of appreciation is only going to continue in the near future. 2. Mulund: Once considered far flung, remote even, Mulund has emerged as one of the hotbeds of construction activity over the past 4 to 6 years. A bastion of suburban comfort and living, it is bounded by not one, but two of Mumbai’s green lungs, the verdant Aarey Milk Colony and Thane’s Yeoor hills. Mulund is now extremely well connected by the Eastern corridor to town and the ever dependent Mumbai Rail Network to most other parts of the city. An appraisal of the per square residential rates show that this is still an affordable haven for quality flats. The range in the area is in between 18-20k per square foot and is on the upswing. The time to buy property in this area is definitely NOW! 3. Prabhadevi: It is hard to tell that Prabhadevi is indeed so close to both town and the suburbs, the only telltale sign is the proud sealink which has become a literal symbol for this quaint neighbourhood. Prabhadevi is an interesting, cosmopolitan neighbourhood that is accessible from not 1 but 3 prominent railway stations, namely Dadar, Elphinstone and Mahalaxmi. Some of Mumbai’s most prominent cultural venues, restaurants and shopping destinations call Prabhadevi home. A flat in Prabhadevi certainly isn’t out of the realm of consideration, especially for the well heeled, with per square foot rates in the area ranging between 39 to 49k per square foot. 4. Bandra: No mention to residential hubs in Mumbai would be complete without Bandra, the Queen of the Suburbs. Bandra is the playground of the cosmopolitan elite and home to some of Mumbai’s choicest nightlife and dining options. Shopping and schools literally go hand in hand in this trendy Mumbai district and simply taking a walk down its arterial roads will confirm its status as Mumbai’s premier residential area. Rates in Bandra tend to be between 42 to 56k per square foot. Mumbai has something for every budget and every whim. While the areas featured here can tend to seem expensive, there are others which you will see are well within the reach of an everyman.